Send an impactful message this season to everyone on your mailing list. 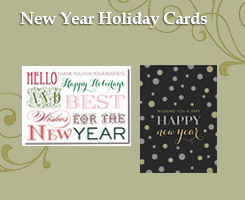 For the past 36 years, we have provided businesses and organizations with the right cards for every occasion with personalized messages and personal attention and care for all our clients. Choose from hundreds of Business Holiday Cards, our colorful Charity Holiday Cards supporting national and international charities, exclusive City Scenes of Boston, Chicago and New York, distinctive and upscale cards by Crane & Co., William Arthur or Vera Wang and the modern and unique Checkerboard holiday cards for your business. Regardless of what it says, an Artline Greetings business holiday card speaks volumes. We're glad to become a part of your holiday traditions!